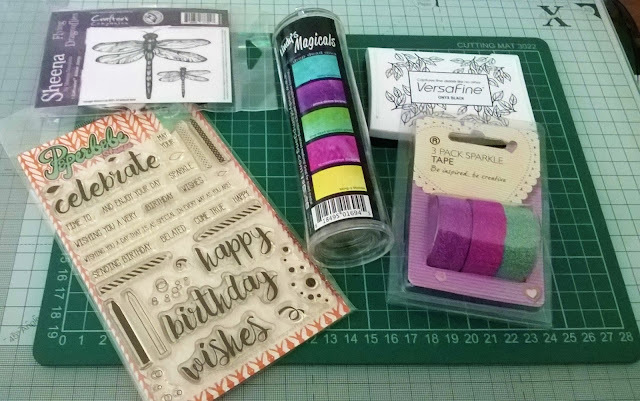 It's Hump day and today I couldn't decide what I wanted to play with so decided to grab some of my favorite crafty items and go with the flow. 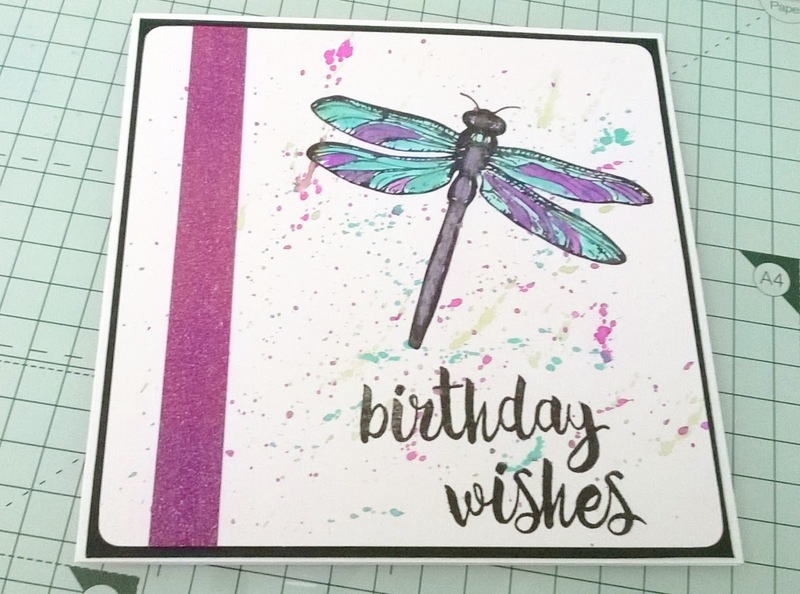 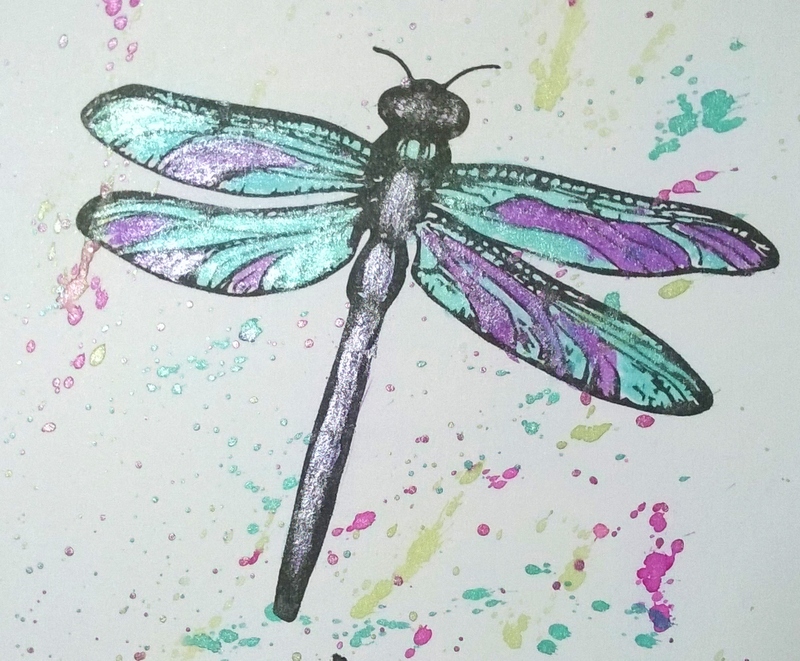 Here is my creation, a cute 6x6 greeting card. 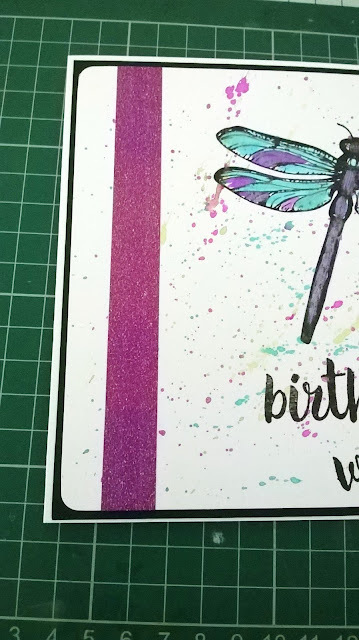 As the Magicals dry they become more vibrant and the shimmer comes alive. I am going to play some more with the Magicals and see what other things you can do with them and as always I'll share my results here.